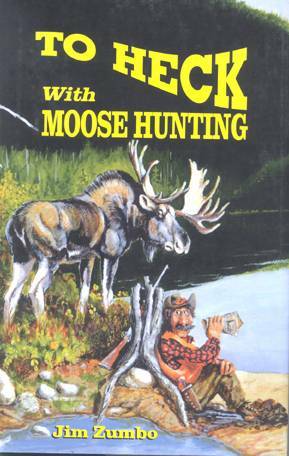 This is the latest in Jim Zumbo's “To Heck With...” series of humor-filled hunting books. You'll read about Jim's hunts around the continent, including encounters with moose, caribou, sheep, antelope, mountain goats, wild buffalo, wild boars – and even an African experience. Besides enjoying numerous tales, you'll learn from Jim's experiences, and you'll find yourself smiling when you read about Jim's hunt with humorist Pat McManus when Pat was charged by a rampaging antelope. Every story is genuine; nothing is made up – and many photographs in the book add to its enjoyment. Hardcover only, 204 pages. Cover and numerous interior illustrations by Boots Reynolds.